Its a new year and General Mills would like to encourage you to start the new year out right. A nutritious breakfast is always in order to start your day out right. 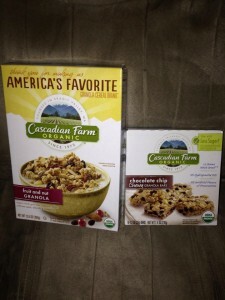 The first thing I have noticed with the Cascadian Farm Organic Granola Bars when you read the ingredients, you can pronounce every ingredient. No wacky preservatives. I loved that even before I tasted them. One bite and you can tell it is way different than any granola bar you have had before. Organic makes such a big difference in even how the food tastes. What health and wellness activities are you looking forward to doing with your family in 2014? Going to the local park more often? Starting a vegetable garden? Or simply taking your dog for more walks? 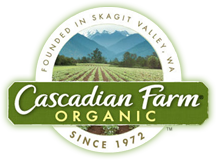 And how would Cascadian Farm products fit into your healthy habits?